Nehemiah 1:3 - They said to me, "Things are not going well for those who returned to the province of Judah. They are in great trouble and disgrace. The wall of Jerusalem has been torn down, and the gates have been destroyed by fire." Nehemiah 2:17-20 - But now I said to them, "You know very well what trouble we are in. Jerusalem lies in ruins, and its gates have been destroyed by fire. Let us rebuild the wall of Jerusalem and end this disgrace!" 18 Then I told them about how the gracious hand of God had been on me, and about my conversation with the king. They replied at once, "Yes, let's rebuild the wall!" So they began the good work. 19 But when Sanballat, Tobiah, and Geshem the Arab heard of our plan, they scoffed contemptuously. "What are you doing? Are you rebelling against the king?" they asked. 20 I replied, "The God of heaven will help us succeed. We, his servants, will start rebuilding this wall. But you have no share, legal right, or historic claim in Jerusalem." Nehemiah chapter 4 - Sanballat was very angry when he learned that we were rebuilding the wall. He flew into a rage and mocked the Jews, 2 saying in front of his friends and the Samarian army officers, "What does this bunch of poor, feeble Jews think they're doing? Do they think they can build the wall in a single day by just offering a few sacrifices? Do they actually think they can make something of stones from a rubbish heap—and charred ones at that?" 3 Tobiah the Ammonite, who was standing beside him, remarked, "That stone wall would collapse if even a fox walked along the top of it!" 4 Then I prayed, "Hear us, our God, for we are being mocked. May their scoffing fall back on their own heads, and may they themselves become captives in a foreign land! 5 Do not ignore their guilt. 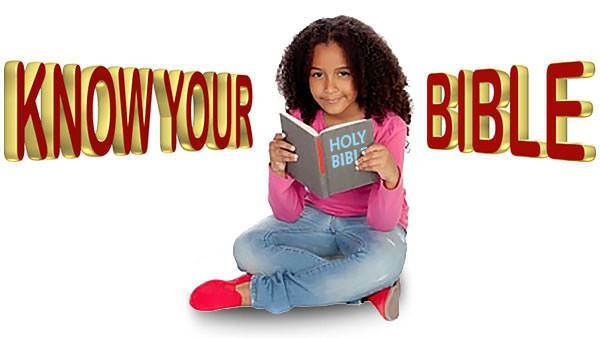 Do not blot out their sins, for they have provoked you to anger here in front of the builders." 6 At last the wall was completed to half its height around the entire city, for the people had worked with enthusiasm. 7 But when Sanballat and Tobiah and the Arabs, Ammonites, and Ashdodites heard that the work was going ahead and that the gaps in the wall of Jerusalem were being repaired, they were furious. 8 They all made plans to come and fight against Jerusalem and throw us into confusion. 9 But we prayed to our God and guarded the city day and night to protect ourselves. 10 Then the people of Judah began to complain, "The workers are getting tired, and there is so much rubble to be moved. We will never be able to build the wall by ourselves." 11 Meanwhile, our enemies were saying, "Before they know what's happening, we will swoop down on them and kill them and end their work." 12 The Jews who lived near the enemy came and told us again and again, "They will come from all directions and attack us!" 13 So I placed armed guards behind the lowest parts of the wall in the exposed areas. I stationed the people to stand guard by families, armed with swords, spears, and bows. 14 Then as I looked over the situation, I called together the nobles and the rest of the people and said to them, "Don't be afraid of the enemy! Remember the Lord, who is great and glorious, and fight for your brothers, your sons, your daughters, your wives, and your homes!" 15 When our enemies heard that we knew of their plans and that God had frustrated them, we all returned to our work on the wall. 16 But from then on, only half my men worked while the other half stood guard with spears, shields, bows, and coats of mail. The leaders stationed themselves behind the people of Judah 17 who were building the wall. The laborers carried on their work with one hand supporting their load and one hand holding a weapon. 18 All the builders had a sword belted to their side. The trumpeter stayed with me to sound the alarm. 19 Then I explained to the nobles and officials and all the people, "The work is very spread out, and we are widely separated from each other along the wall. 20 When you hear the blast of the trumpet, rush to wherever it is sounding. Then our God will fight for us!" 21 We worked early and late, from sunrise to sunset. And half the men were always on guard. 22 I also told everyone living outside the walls to stay in Jerusalem. That way they and their servants could help with guard duty at night and work during the day. 23 During this time, none of us—not I, nor my relatives, nor my servants, nor the guards who were with me—ever took off our clothes. We carried our weapons with us at all times, even when we went for water. 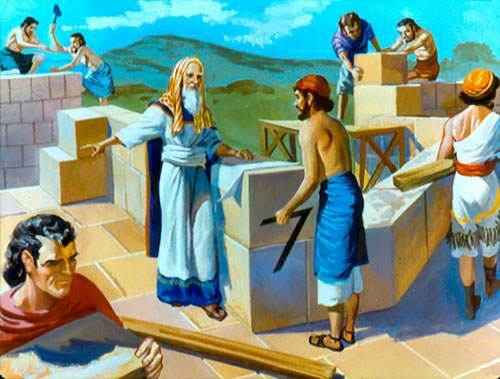 Nehemiah 6:15 - So on October 2 the wall was finished—just fifty-two days after we had begun.